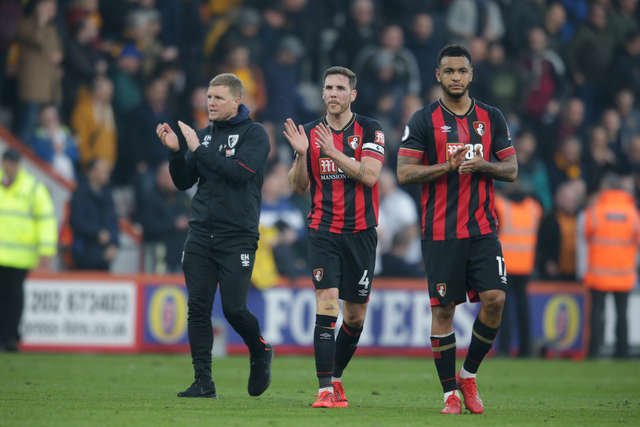 Referee Roger East awarded a hat-trick of penalties as AFC Bournemouth and Wolves shared the spoils in an entertaining 1-1 draw at Vitality Stadium today. 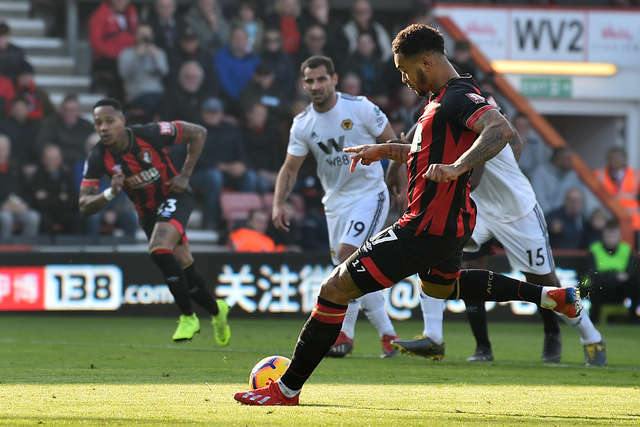 Joshua King drew first blood for the hosts when he netted from the spot after he had been felled by Joao Moutinho in the 14th minute. 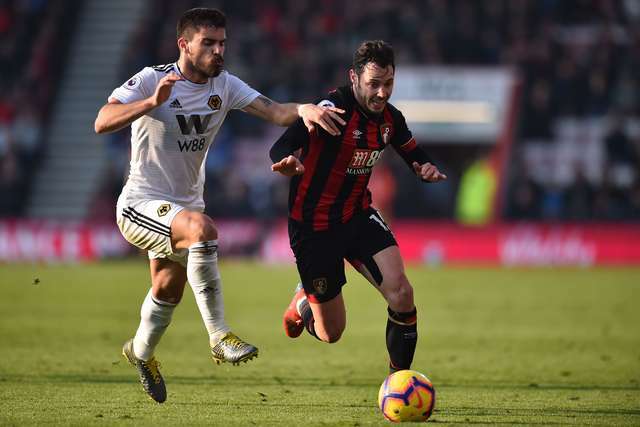 Adam Smith was deemed to have fouled Matt Doherty seven minutes from time, allowing Raul Jimenez to restore parity from the spot. 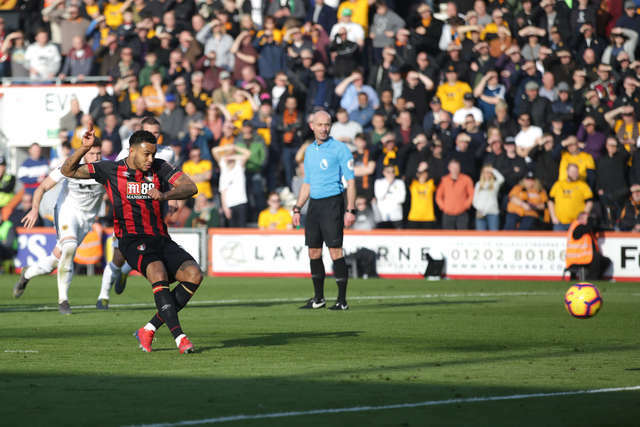 And although the Cherries won a second spot-kick after Ivan Cavaleiro had tripped Ryan Fraser just two minutes later, King saw his effort hit the post and go wide. 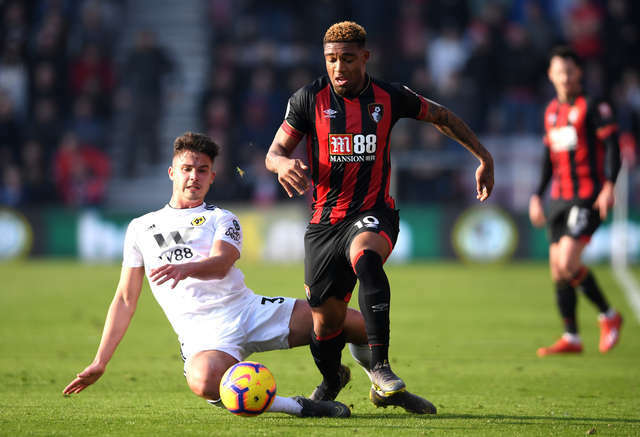 An absorbing contest ebbed and flowed throughout and the Cherries created the lion's share of the chances, with Jordon Ibe hitting the crossbar for the hosts in the second half. 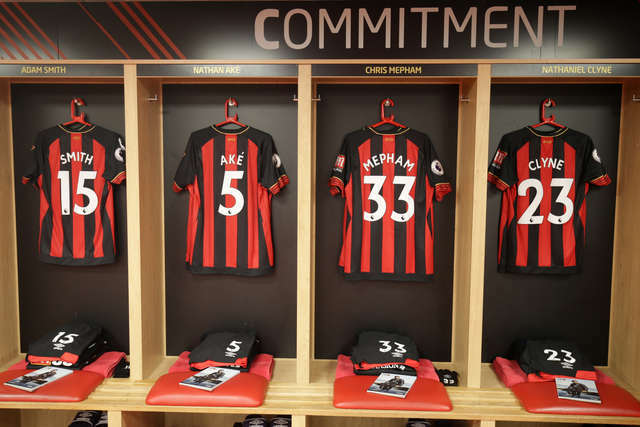 Chris Mepham was drafted in for his full Premier League debut as boss Eddie Howe made three changes to the Cherries starting line-up. The defender, a transfer window signing from Brentford, replaced Steve Cook who missed his first game of the season due to a groin injury. Mepham was joined by fellow January arrivals Dom Solanke and Nathaniel Clyne as Diego Rico and Andrew Surman dropped to the bench. Loan signing Clyne, who had been ineligible to face parent club Liverpool a fortnight ago, returned to make his 350th career appearance. 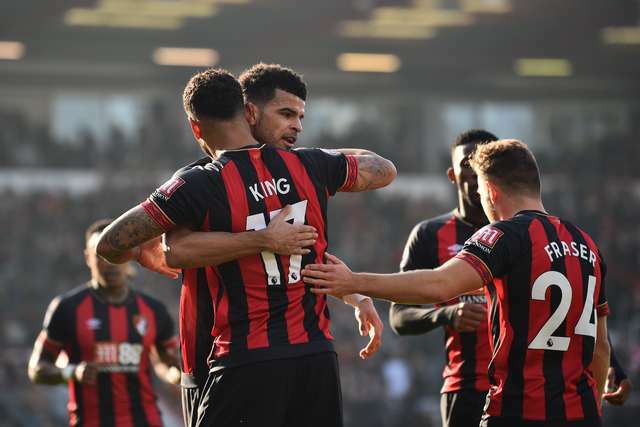 And striker Solanke, handed his first Cherries start against Cardiff earlier this month, was restored to the starting line-up to partner King in attack. 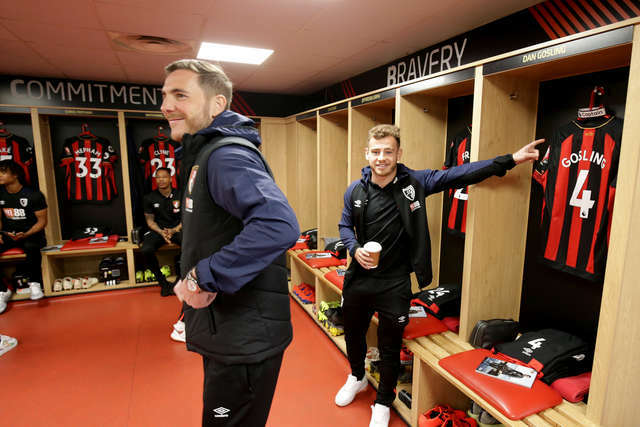 In the absence of Cook and long-term injury victim Simon Francis, Dan Gosling skippered the Cherries for the first time in a league game. 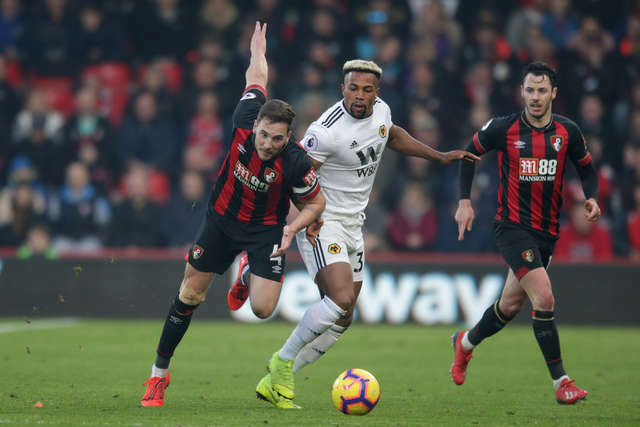 FA Cup quarter-finalists Wolves reverted to the same starting line-up which had earned a 1-1 draw with Newcastle in their last Premier League game 12 days ago. 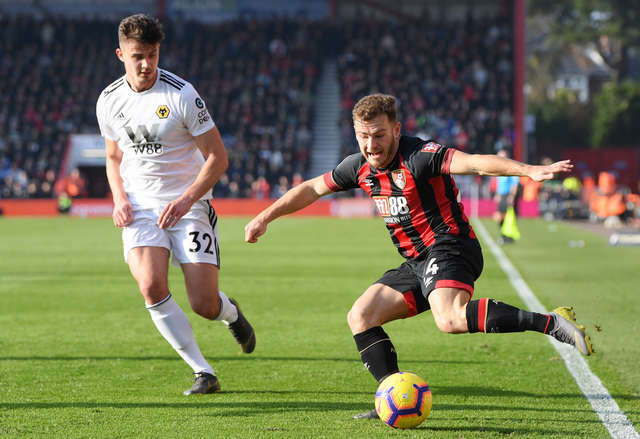 Adam Smith was booked after just 50 seconds for hauling back Matt Doherty before the Cherries were forced to defend three early corners and a couple of long throws. 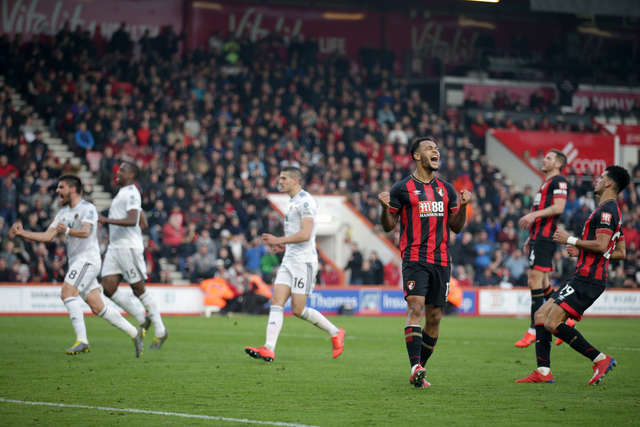 But despite the visitors’ pressure during the opening exchanges, it was the Cherries who opened the scoring thanks to King’s 14th-minute penalty. Referee Roger East immediately pointed to the spot after the Norwegian international had gone to ground under a Joao Moutinho challenge. And although Wolves goalkeeper Rui Patricio guessed correctly by diving to his left, King confidently placed the penalty past him and into the bottom corner. Wolves were convinced they should have had a penalty just six minutes later, claiming Mepham had handled when under no pressure. 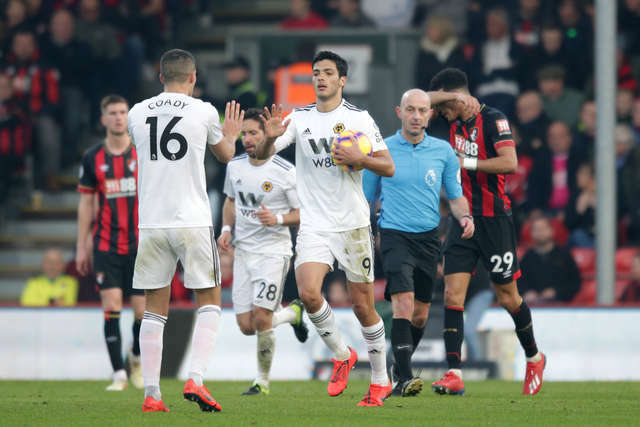 But referee East was unmoved and turned down their appeals with Wolves midfielder Diogo Jota shown a yellow card for his protestations. 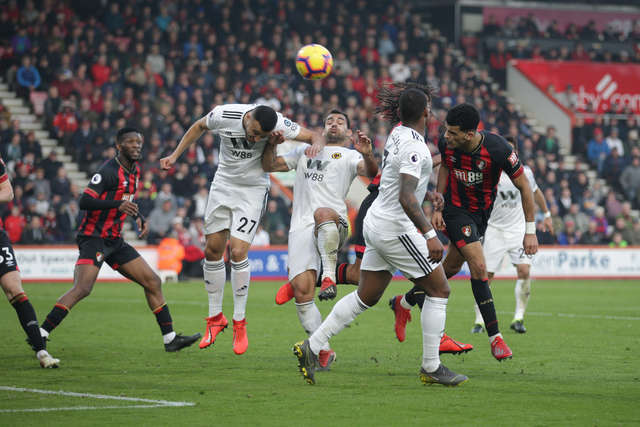 Nathan Ake’s crucial interception, which cannoned off Raul Jimenez and out for a goal kick, prevented Jonny Otto’s cross from causing further problems. Willy Boly, who escaped punishment for a foul on Jefferson Lerma, again got off the hook after he had appeared to trip King near the halfway line. 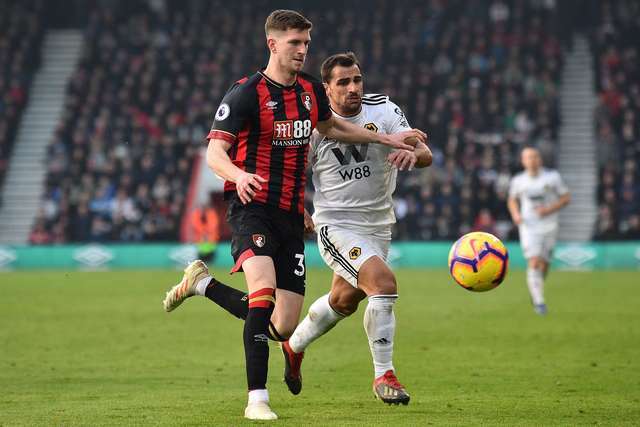 The Cherries had a let-off after Jota had wriggled free from Mepham with Jimenez unable to convert his teammate’s driven cross at the far post in the 38th minute. 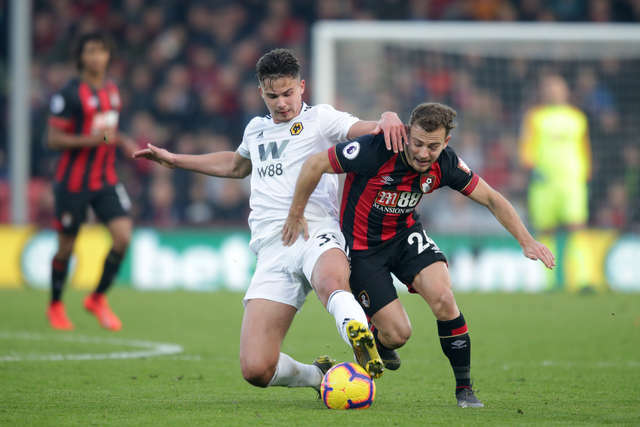 Wolves midfielder Leander Dendoncker became the third name in referee East’s notebook following a foul on Ryan Fraser. 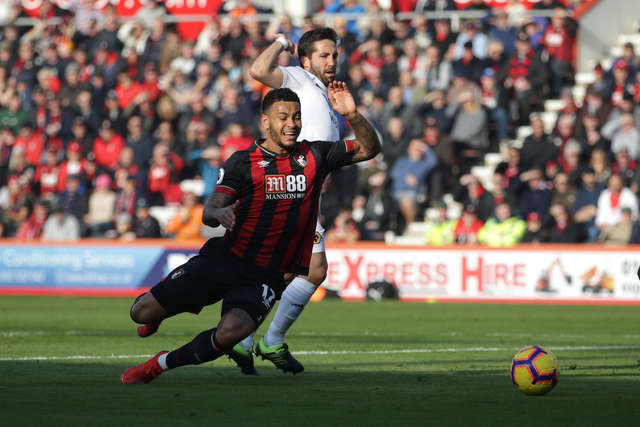 A sweeping move which took the Cherries almost the full length of the pitch on the stroke of half-time ended with Patricio snaffling Clyne’s cross from under the nose of Solanke. 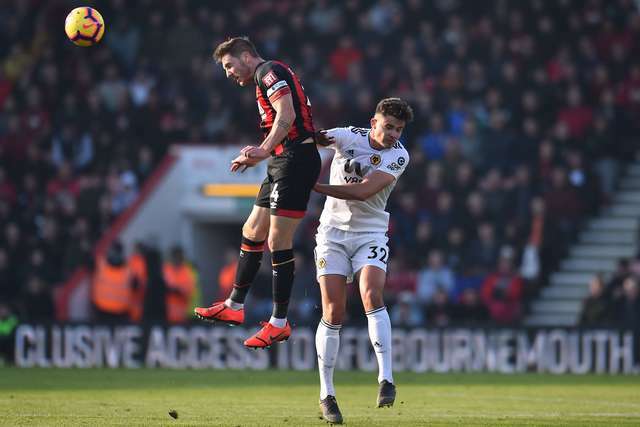 The Cherries goalkeeper Artur Boruc was forced to push Dendoncker’s header over the crossbar following a corner from Moutinho eight minutes into the second half. And after Boly had met the follow-up corner from the opposite side, the defender’s effort landed on top of the net. Solanke outjumped the Wolves defence to meet King’s 56th-minute centre, only to see his header bounce the wrong side of the post. And after the Cherries had seized on a poor clearance from Patricio, Gosling’s clever pass found Solanke who saw his shot parried by the Portugal international goalkeeper and then cleared by Ryan Bennett. 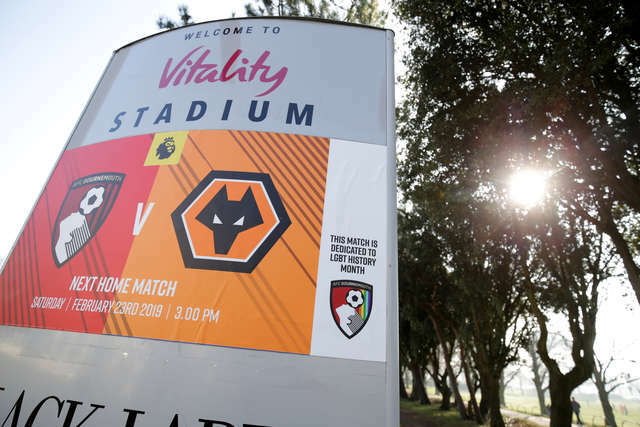 Ivan Cavaleiro replaced Jota as Wolves head coach Nuno Espirito Santo made the first change in the 66th minute before Nathan Ake blocked a long-range effort from Jimenez. 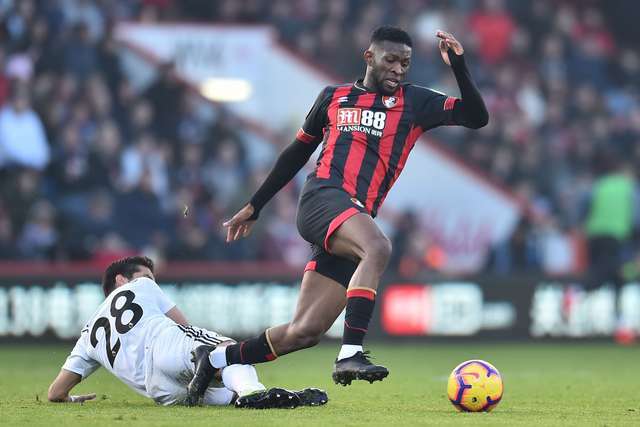 Lerma collected his 10th booking of the season – and an immediate two-match ban – for a foul on Moutinho after 68 minutes. 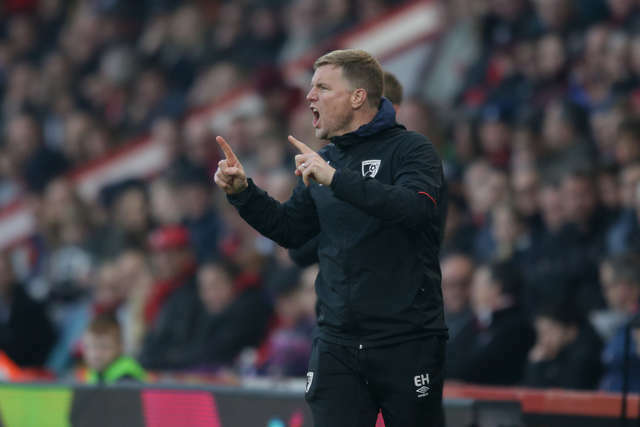 The Cherries went close to doubling their lead through Jordon Ibe, the winger seeing his ferocious strike come crashing back off the crossbar in the 72nd minute. 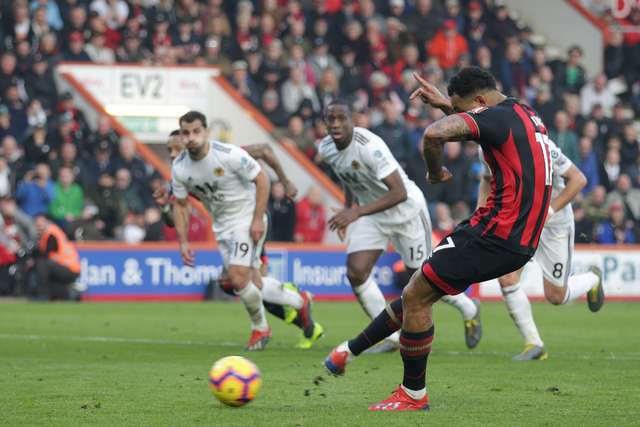 Wolves levelled from the spot after Smith had been judged to have fouled Doherty eight minutes from time, with Jimenez sending Boruc the wrong way to make it 1-1. 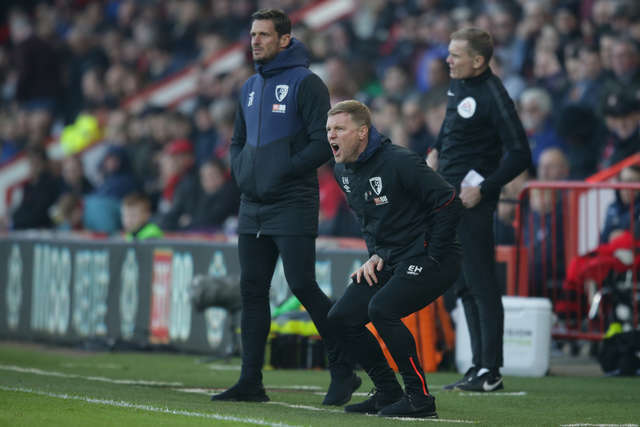 The Cherries squandered the opportunity to quickly restore their lead when referee East awarded a third penalty just two minutes later after Cavaleiro had tripped Fraser. But King saw his effort from 12 yards hit outside of the post and go wide. In the closing stages, Patricio saved Solanke's header after he had met Fraser's corner at the near post. New signing Chris Mepham can be immensely proud of his full Premier League debut having impressed throughout against Wolves. The young defender, with just 50 career appearances behind him, was asked to fill the void created by Steve Cook’s absence. 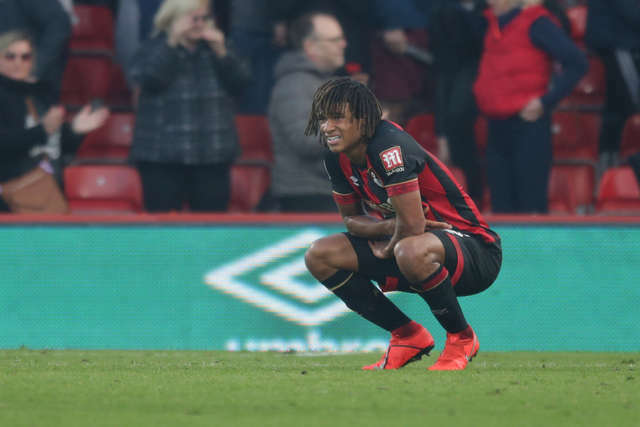 And he seized his chance with both hands, looking calm and unflappable alongside Nathan Ake at the heart of the Cherries defence. A superb run from inside his own half in the 42nd minute earned him a warm round of applause from an appreciative home crowd. 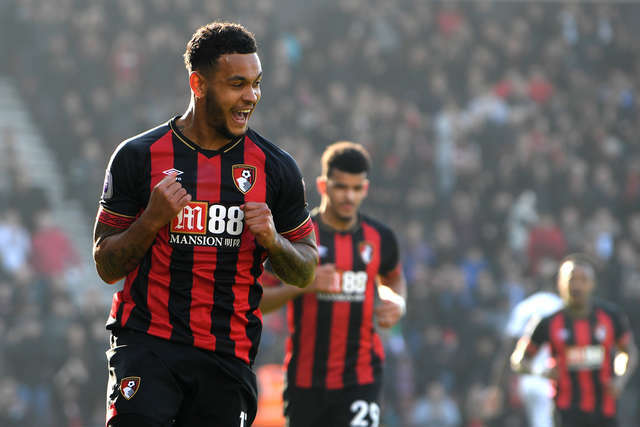 Nathan Ake was a colossus at the back for the Cherries and played a major role in ensuring Artur Boruc was well protected. The Dutchman showed his class and bravery, using his feet and head in equal measure to help blunt the visitors' attack.